This Intermediate Flea Kit is designed to eradicate a dog or cat flea infestation affecting 1-2 rooms. Flea Treatment Kit 2 contains double the quantity of products in Kit 1. The combination of products in this Kit will help you carry out a successful treatment, eradicate a cat or dog flea infestation affecting 1-2 rooms in your home and maintain long-lasting flea control. 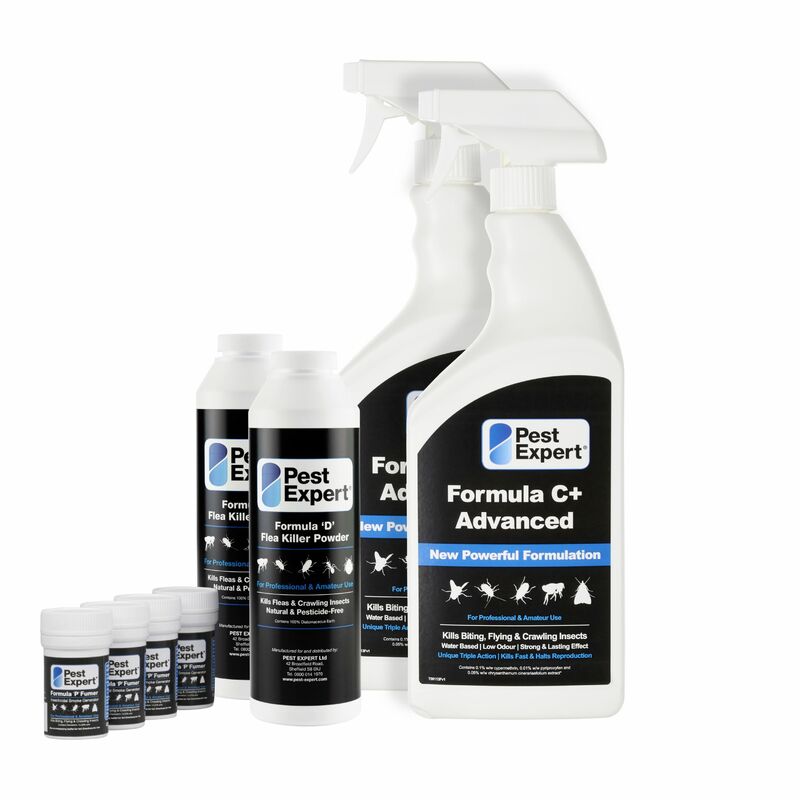 Our Kits include our best-selling insecticide Pest Expert Formula 'C' Flea Spray which as well as killing on contact also offers long-lasting flea control. Also supplied is twin pack of Formula 'P' Flea Bombs for fumigating the room and some Formula 'D' Flea Powder – a natural, pesticide-free flea killer that is safe enough to treat pet bedding. 2 x 1 litre Pest Expert Formula 'C' Flea Spray: A highly-effective insecticidal spray that offers both fast-acting and long-lasting control as it leaves a protective residue that continues to kill cat and dog fleas for up to 12 weeks after treatment. One litre will treat approx 20 sq m and it can be applied directly to carpets. 2 x Formula 'D' Flea Powder: A completely natural flea-killing insecticide - diatomaceous earth - that is ideal for use in areas where a spray is unsuitable, e.g around electrical appliances and power points. Pesticide-free, it is perfectly safe for use in homes with children and pets and can even be used to treat pet bedding. 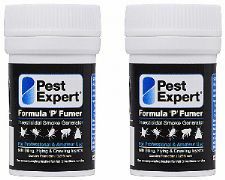 4 x Pest Expert Formula 'P' Flea Bombs: A highly effective fumigation device. After lighting, the Bomb releases a permethrin smoke which fumigates a room, killing adult dog and cat fleas. One twin pack will treat an average-size room (4m x 3m). 1 x Safety Mask & Gloves: Offer excellent airway and hand protection to the user when carrying out an insecticidal treatment. If you have a more widespread infestation then please see our larger Flea Kit, which contains the same high quality control products but in greater quantities. Fantastic company! Reliable delivery and the products worked effectively! Nothing but praise for this kit! The combination really knocked the fleas down and we haven't been bit for over a week! Delivery very prompt. Good service. Great products. User friendly website. Speedy delivery. Easy-to-use instructions and highly effective products! Not much more I could ask for! Fantastic service and a great selection of products. Highly recommend.